Shop our selection of antique and vintage discontinued Royal Crown Derby fine china dinnerware patterns. Please contact us for the items currently in stock. 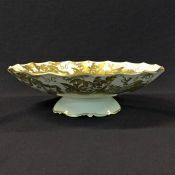 Royal Crown Derby Old Imari 1128 “Duchess” shape centrepiece bowl. 11 1/2” across the handles, 3” high. $1295. Royal Crown Derby Grey Scroll vintage dinnerware china pattern. Please contact us for the items currently in stock. 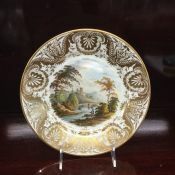 Royal Crown Derby Derby Border vintage dinnerware: please contact us for the items currently in stock. Vintage Royal Crown Derby Derby Posies: please contact us for the items currently in stock. Royal Crown Derby vintage Chatsworth: please contact us for the items currently in stock. 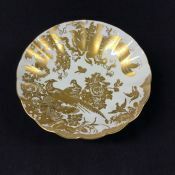 Royal Crown Derby Imari 3973 vintage dinnerware: please contact us for the items currently in stock. Royal Crown Derby’s Balmoral vintage dinnerware: please contact us for the items available. 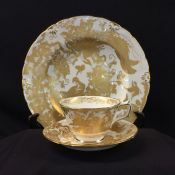 Vintage Royal Crown Derby Kendal-Celadon dinnerware: please contact us for the items currently in stock. We have a large selection of Royal Crown Derby Old Imari Japan 1128 in stock. Please contact us for the items available. We have a large selection of Royal Crown Derby Traditional Imari 2451 in stock. Please contact us for the items available. Royal Crown Derby’s Asian Rose vintage dinnerware: please contact us for the items available.